Greg Rucka Talks "Whiteout" and the Wonders of Kate Beckinsale! 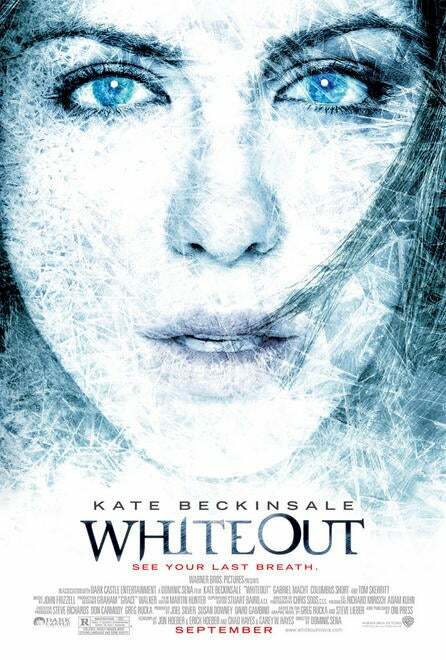 September 11, 2009 will see the release of the highly-anticipated film adaptation of author Greg Rucka's comic book series Whiteout, the story of a U.S. Marshal, Carrie Stetko, who must figure out a murder that has occurred in one of the most desolate, and brutal, spots in the world, Antarctica. While Rucka has been known for his work with superheroes such as Wonder Woman, Daredevil and currently Batwoman, in Stetko he has created a heroine whose grit and determination are tested to their limits in a harsh, and humbling, environment. During my conversation with Rucka, he touched on several key areas that he felt made this adaptation of his work so successful. For the film, Stetko comes to life in the form of actress Kate Beckinsale. In talking about the project, Rucka explained what made Beckinsale perfect for the role. "Kate is a very talented, subtle actress who just knows exactly what she's doing with the character. Carrie comes to Antarctica because of a conflict and a past pain; she's trying to get away from that conflict but she finds that she can't. Kate plays the conflict beautifully in the film." Readers of the comic should know that the conflict in the film has been altered from that in the book, but where Carrie is concerned, the action of the series has not. With that came some demands on Beckinsale. "Kate is very slight but she knows how to throw around and be thrown around on the set. She was great. Since there are a lot of close-up shots during some of the more action-oriented scenes, Kate had to do those instead of the stunt people to show that it was her, but she was just great in carrying those out." A key partner in Beckinsale's performance was the environment itself. Some of the coldest parts of Canada were chosen for production, Manitoba being one in particular, and the production crew did their best to recreate the world of Antarctica with the ferocity found in Rucka's book. When he originally wrote Whiteout, Rucka saw a world of narrative potential. "Environment as a character intrigues me," he said, "I did a lot of research, reading of diaries of people who had been to Antarctica, accounts of expeditions, and lots more to learn all I could about this part of the world. All that research manifests itself in many places onscreen." Rucka went on to say that part of both the comic book and the film centers on the way the human characters react to their environment. "Antarctica is a violently intolerable place. It has its own rules and its own personality. It's not responsible for the care and feeding of people, and environments like that provide many great insights into other characters and their humanity. There are rules to surviving there." Beckinsale herself has stated that, “There were times when I looked out and couldn’t distinguish where the land and the sky met; it was just one huge whiteness. Totally disorienting. It’s easy to imagine how scary that would be if you were alone. You could turn away from your camp for a moment and not find your way back.” The trailer for the film, which you can find here, shows just how much of a force the landscape will be to contend with as Stetko struggles to solve the mystery of the film. While Beckinsale and the setting are certainly the two major forces in the film, the rest of the major cast sports an impressive pedigree as well. "They [the actors] all really came to the project and approached it beautifully. Columbus Short [of Stomp the Yard and Cadillac Records fame] is terrific. Everyone should know who this guy is. He made a point of frequently talking to me about the material and about Delfy, the character he's playing." The cast also sports Tom Skerritt, who Rucka described as, "a master craftsman," and Gabriel Macht in supporting roles. Rucka is confident that the cast will provide an entertaining film for those familiar and unfamiliar with the comic book series. "It's not a message film, but it is about a woman who is dealing with a past pain in a tough environment; however, I hope audiences will leave feeling entertained and feeling that they had an exciting time!" said Rucka. During our discussion, Rucka was keenly aware of the long process it took to get to this point, as the film version of Whiteout had seen almost as many obstacles in getting made as Stetko had in conducting her investigation. "The book was optioned for a movie deal the first year it came out  but it languished from option to option. People would always tell me 'this would make a great movie' but nothing came of it. Finally Dark Castle [a production house associated with Warner Bros.] really wanted to make Whiteout. Joel Silver [producer] called and, literally, in about forty seconds he told me they were making the movie! It's been a journey!" The next phase of the journey continues after the film debuts in just a couple of weeks, as audiences will line up to get lost in the mystery and suspense of Whiteout.